Darlene A. Sockrider, age 80, passed away February 11, 2019, at Mercy-Health St. Rita’s Medical Center. Darlene was born November 25, 1938 in Lima, OH, to Samuel and Lula (Bennett) Rohrbach who preceded her in death. On December 7, 1955 she married Robert “Bud” Sockrider who preceded her in death on January 13, 2019. Darlene had attended the Lima Central High School. She had worked as a school bus driver for 27 years with the Bath Local School from which she retired. Darlene loved all sports with her favorite being football. Her favorite team was the Cleveland Browns. Darlene is survived by her 2 sons: Bobby L. Sockrider of Circleville, OH and Timothy L. Sockrider of Lima, OH, 4 grandchildren: Lori Sockrider of Columbus, OH, Lisa Rockhold of Lima, OH, Ashley Sockrider and Bobby Sockrider of Lima, OH and 4 great grandchildren. She was preceded in death by a brother, Donald Rohrbach. According to Darlene’s wishes there will not be any visitations or services. Burial of cremated remains will be in the Memorial Park Cemetery. Memorial contributions may be made to the St. Jude’s Childrens Hospital. 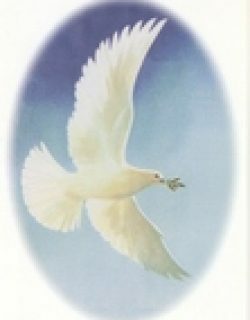 Condolences may be expressed to the family at www.chiles-lamanfh.com.